New betting sites are now popping up online at an ever increasing rate. These companies are all safe to gamble with if they have a UK gambling commission license, but that doesn't necessarily mean they are all that good in terms of markets, features and terms. It isn't too hard to set up a new online bookie/casino these days with many new sites being white labels, meaning they use third party software, services and odds feeds. This is no bad thing, but it can make finding a good site very hit and miss. There are however some genuinely good new brands out there that offer something unique and innovative, and that is what this page is for. At OnlineBetting.org.uk we review our recommended bookmakers in great depth. We don't just cover welcome offers and free bets, rather we go into significant detail breaking down sites by payment methods, payout limits, features availability (cash out, streaming, etc. ), market depth, how friendly they are, how easy to use their product is, and more. We try to help people find the right online betting brand for them without trying to push any company on someone that won't suit them. We know however that people like to try new things, whether that be for variety, to try out a new feature, market or regular promotion or because they want multiple accounts to compare the best value on a bet by bet basis. Therefore on this page we look at some of the better new bookmakers and rather than an endless list of clones we show you some of the best sites and discuss the reasons why. We also look into what it is required to set up a new betting site in the UK to give you an idea of the processes these companies need to go through. Whilst we haven't had the time yet to go into depth that we do with our featured bookies we have given over 50 new brands a rigorous once over and from that come up with our best. We also continue to bet with and monitor all new sites and refresh this list regularly to best reflect the current cream of the crop. The sites below may not always be brand new companies, rather they may be new sites to the UK market. The name Tony in Tonybet comes from a former very famous Lithuanian poker player known as Tony G (real name Antanas Guoga) who invested a lot of his winnings in setting up an online betting and gaming site. As a player rather than just an investor he was able to set up a product that seems to put the punter first. Basically they don't just do things because they make money they also do them because normal people might be interested. The Lithuanian side of the brand was bought by Swedish giant Betsson in 2016, who merged it into Betsafe. Tonybet itself however remained independent and used that cash injection to expand the brand into the UK and European markets. This is why it features in the new sites section, as for all intents and purposes it is a new betting site for the British market. The Tonybet brand itself is still owned by Tong G and the site and product retains all of its own personality, with a unique platform and markets. When it comes to their markets this is a stand out feature of Tonybet and fantastic for those looking for something different. Fine they don't have horse racing, so not exactly a replacement for a traditional British bookie or a racing punter, but they do have a European background and outlook. This means alongside all of the typical sports rammed down your throat by every other bookie, with this site you can bet on things you will not find commonly elsewhere, the likes of alpine skiing, water polo and biathlon. Within the mainstream sports there is also more variation, for football, for example, you can easily find leagues and matches that you may be hard pressed to find with a UK-focused brand. Coming from a gaming background this is a site for those that like a selection of gambling products, they are excellent for casino games and of course poker. They have also been around long enough with enough experience to have 24/7 customer support, a large selection of payment methods, news, blog and stats sections and bespoke promotions to suit their own focus. Being independently run seems to be paying dividends for this site. If you are looking for a new site to bet with then many of the options these days are white labels, or they at least run elements from third party platforms, which makes them all very samey. This is not the case with Tonybet, they are new but unique, this will grab the attention of many players sick of the big bookies but who don't want some generic clone. 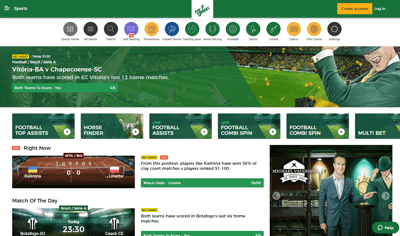 Novibet were established back in 2010 so are not exactly a brand new site, however this bookie from Greece is new to UK audiences and has impressed enough to gain a place on our new sites page. There are three big incentives to try this site. Firstly this is a brand that runs on its own platform and generates its own odds, so retaining personality and the ability to offer a unique product. Secondly the company is long established (for an online bookie) with a firm foundation and this means it has a host of features, banking options and a good variety of markets with solid depth, that many new sites do not have. Thirdly this is an independent online bookmaker and casino, which are becoming rarer these days. With its origins in southern Europe Novibet also provide a wide range of markets that would be interesting to those that like to expose sports, events or leagues without a focus in the UK. For something like football you can find more depth when it comes to competitions and countries offered, for example. The fact they develop their own sportsbook also means the in-play section works perfectly for this site and is not compromised to fit any old white label. By pricing up their own markets this site is able to be competitive where many new entrants to the UK market cannot. They offer a feature called Super Odds for example that gives punters a '100% fair odds', i.e. no margins for certain markets. That is the kind of additional value an independent like this can provide to existing users. They also are good when it comes to regular promos with around half a dozen at any one time that do provide genuine added benefits. Customer services can be reached 24 hours a day and they even have a phone number, another rarity among new brands today. Novibet are certainly one that should be on your list should you wish to try a new betting site but you want to retain features and good value. MoPlay is a mobile-first brand developed on the highly stylish and slick SB-Tech platform. In the first year they launched (2018) MoPlay was already the principle betting partner of Manchester United along with Watford Football Club. If you need any evidence of the money and resources behind this site then there it is right there. 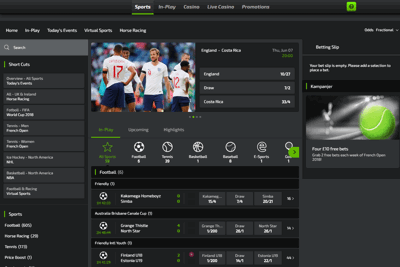 Established as the first brand by Addison Global Limited, MoPlay are very keen to grow quickly in the UK market space an have already spent a small fortune on licensing the best possible sportsbook software with all the bells and whistles attached. They have already got a range of banking options including the likes of Skrill, Neteller and PaySafeCard, with £10 minimums and some of the biggest payout limits you will see in bookmaking, let alone from a new site; up t £1000000 for top level football. It's not all about money of course and Addison Global, the company behind MoPlay, have used their resources well to assemble a team of industry professionals who very obviously understand what the modern online punter wants. This is reflected, for example, in their retention promotions, which are cracking value, numerous, applicable to a range of bettors and always refreshed. Being new is sometimes good too a it means you are not shackled by history, this let them develop their site as mobile first then back engineer it onto desktop, 70% of betting site access is now through a mobile site or app so this makes a lot of sense. Older bookies simply can't do this which is why many mobile sites look like re-hashed desktop versions. There is a bit of a big corporate investor feel about this brand, but then again you have to spend capital to make a good product in this incredibly competitive market. Better in some ways to join a well-funded brand that will develop fast rather than a budget clone that may die out faster than 3D TV. Overall one of the best new sites available right now with very big ambitions they could one day be up there with the very biggest brands. VBet have been around for a good while, originally established in 2008. It is the flagship site of the exceptionally stylish BetContruct betting platform and is used as the poster brand. Vbet is however new to the UK market, having only become licensed in 2018. The full name of the company is Vivaro Bet, shortened to Vbet as it sounds better. The are originally from Armenia and are these days based and licensed from Malta. Having only moved in the UK recently the entire brand is very different to any other bookie on these shores. The European pedigree shines through in the look of the site and the markets available, they've got all the typical sports but also have some interesting ones rarely found with British brands, such as freestyle wrestling. The in play live betting feature is worth a mention for how good and well stocked it is. It is a pleasure to use and a focal point of the site. In fact, because it is a BetConstruct site it is hard to criticise the design, interface and navigation in any way. The longevity and resources of Vbet also shine through when you consider they have a wealth of banking options all with £5 minimums, almost no 'new' sites have limits this low. For anyone looking for something entirely different and new but yet would still like to retain markets, features (such as cash out), banking options, good promotions and general terms, could do far worse than give Vbet a go. Quinnbet are a family owned Irish bookmaker launched in 2017. That family just happens to be owned by former billionaire Sean Quinn, who was once Ireland's richest man, who was ousted from his businesses over debts and declared bankrupt. This ins't however some sort of revenue spinner or play thing for a former rich man, rather this brand has been genuinely set up to be straight forward, honest and good value. The moto of the company is 'Now that's a Fairer Bet' and far from being a tag line they seem to be very true to that message. For traditional British and Irish sports this is a fantastic betting site. Quinnbet have some outstanding regular customer promotions for racing and football in particular that add insurance or bonuses across a wide range of events, not just feature fixtures, allowing punters to claim regular value on their bets. This is in addition to a suite of general loyalty free bet clubs, acca offers and more. Running on FSB technology platform the site has a generic look and feel to it that you will have seen before. If you can forgive that and see past it you will end up getting more for your money when betting, which is ultimately what should count. The interface being FSB is no frills but it is also very easy and intuitive. Quinnbet also have features such as streaming of racing, cash out, a range of banking options including eWallets along with games and virtuals. The support isn't great as you can only contact them by email at present. If you can wait for a reply though the customer service is very helpful with knowledgeable staff. Overall despite being a white label right now this company have a lot of boxes ticked when it comes to being a good bookie, this is why we have chosen to list them as the first ever FSB brand on this page. EnergyCasino launched in 2012 and quickly established itself as a leading European gaming brand. On the back of this success they launched a sportsbook back in 2016 powered by BetContruct data feeds. The whole product is one of the most modern betting package available and with stark contrast to the clunky old systems of older online bookmakers. Overall this is one of the best sites around for providing the full package of gaming alongside sports betting. The market choice is of particular note with in the region of 45 different sports to choose from (although beware horse and greyhound racing is not offered as yet). The company are based in Malta and have a more European persuasion than UK-only brands and this means you can get access to a range of markets and events not common with other sites, such as field hockey, cross-country skiing, fusal, apline skiing, etc. If you are someone that likes to experiment with new things this is certainly a good new site to hold an account with. Being a newer company the site is set up to work on all devices and is particularly good on mobile and tablet. Live betting especially is fantastic and many of the more established bookies could learn a thing or two from Energy on this. Some may find this site over-modern, but others will find it refreshing with a fast interface and easy navigation. 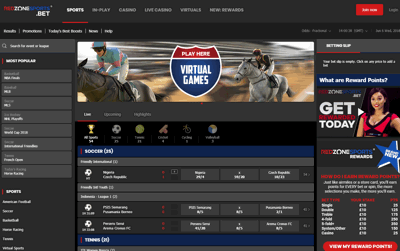 The lack of too many features and promotions on any one page also helps focus the site on what is important, betting. The other area where these guy stand out is with their EnergyPoints loyalty scheme. This allows you to earn point for betting on both sports and casino that can be traded in through their shop for cash, bonuses, free spins or merchandise. This is not instead of regular promotions either, Energy also run accumulator offers, insurance and money back deals, and free bets, that can add further value depending on how you bet. EnergyBet is not going to replace your existing betting site entirely, especially if you like betting on racing, streaming and other aspects you will get with a traditional bookmaker. They are certainly worth holding an account with however based on the range of choice alone, and if you like playing a lot of games from a wide range of software providers then you can't go wrong with the titles available with them. The MasnsionBet sportbook is fairly new, launched in 2018. The casino side however is long established in the UK going back to the relatively early days of 2003. This is the best case scenario for a new betting site as they have effectively hit the ground running with all the knowledge and experience of what customers want already in the bag. The casino is well known to British punters, mainly because it is a genuinely very good and well refined mainly Playtech powered gaming platform, but also because the company are prolific sponsors of football having been early shirt sponsors of Spurs and later Crystal Palace and Bournemouth. If the football sponsorship isn't evidence they take their sport seriously then just take a look at the sportsbook, which speaks for itself. This is not a casino site that has tagged on a sports betting product, rather it is good enough to stand in it's own right. They have gone for SB-Tech as their platfrom provider and they are they best around for the combination of easy to use interface with superb depth of markets and features. MansionBet already host over 30,000 live events each month with full cash out facilities and a range of banking options, including PayPal that many new brands do not have. They also provide unique features that only a select group of other bookies have, such as the ability to edit live bets as well as action and pulse betting that make them one of the best in-play betting sites around for scope and range. The book has nearly 40 sports available too with very good depth and a high daily maximum payout limit of £100,000 and low deposit minimum of £10. The customer support is also open longer than other new brands and you can contact them by phone. All signs that this is an already fully established company that know their customers. The site runs on the same system as 10Bet, one of our longest running recommended online bookmakers, and effectively offers almost everything they do with the exception of steaming and a few banking options. Unlike 10Bet however MansionBet have a very well regarded games suite alongside, so if you are a punter that likes to enjoy casino as well as sports bets then this is one of the best all-round online packages available today. Mobilebet is the sister site of ComeOn, a brand that we like very much and review in detail. The sites run on the same in house platform with almost identical features, banking, markets, etc. Therefore here we will talk more about the reasons why Mobilebet are a good option for new punters rather than going into the payment methods, etc. Read the ComeOn review for specifics about the technical stuff. First of all don't be misled by the name, this is not a mobile only betting site, it is just called Mobilebet. They do have a fantastic website and app but don't worry you can access the bookie on any device. In fact being a modern company they have designed an interface that is almost seamless on any sized screen. The brand is part of the Co-Gaming group, established in 2010, with this site launching in 2014. Based in Malta (like so many companies now) they are a pan-European bookie with markets to appeal to a range of customers from a range of countries, they are particularly good for people who like a wide range of choice. Mobilebet don't have streaming, thousands of offers or loads of novel features but there are two stand out reasons why we recommend them above others. The first is their attitude to customers, the entire company is focused on simplicity and transparency, and in the modern world of betting with millions of words of small print that is a real draw. With this site you will never be conned by offer terms or miss out because you don't have a law degree. The second reason is their outstanding loyalty points programme (which you can read about in detail in the ComeOn review). ComeOn were the first to run a proper loyalty points scheme for sportsbook betting and they have stayed ahead of the rest ever since, Mobilebet offer exactly the same system. In basic terms you get points for everything, not just betting and casino (although you of course get points for that), you also get points for logging in, funding your account, verifying your ID, downloading the app, etc., etc. Every time you interface with the brand you get rewarded. You can exchange these points for free bets, bonuses, prizes, merchandise and even sometimes cash in the dedicated shop. The scheme offers genuine value and once you've used it it becomes clear why Mobilebet don't run loads of promos, it's because they are carefully spending their resources on running an excellent loyalty system. It is also one of the fairest schemes as it rewards punters proportionately depending on how much they bet and how often they use the site. Jetbull are another betting site that are by no means new (established in 2007), but they are a new if you are a UK customer. Very well known on the continent, the brand became initially famous for offering the worlds largest selection of casino games - obviously therefore if you are looking for a new site to bet with for both sports and casino this is a very good choice. Despite being known for their games they have managed to produce a very unique sportsbook. Being a European brand they are not so focused on the UK and this means this is one of the best places to bet if you like to wager on sports, leagues and events from other countries. That's not to say they don't cover all the traditional British sports, they just have a wider range available to cater for their larger demographic from across the Euro Zone. Jetbull are the feature site of EveryMatrix, a third party software provider. The company is run by Jetbull but the site, odds and operation is managed by EveryMatrix, who are also the holders of their UK gambling license. Unlike other sites that run third party software however Jetbull are as safe as houses, having a long established reputation and an incredibly tight relationship with the provider. EveryMatrix also provide a damn clean and good looking interface that is a pleasure to use. Other attractive features to punters include a very diverse array of payment options (to suit their wide range of customers) and a strong approach to loyalty with regular cash back, reload, bonus and free bet offers, both longer term and specific for events. Odds also tend to be above average in general, and are especially good for European markets. In terms of unique markets just take a look at the football league list and this will give you an idea of the range available. You can also bet on things like biathlon, water polo and futsal, not so common in the UK. This is also an exceptionally strong site for US sports and basketball from around the world. Mr Green are not new, they have been running a top class casino since 2007 (see our Mr Green Casino review). What is new is their sportsbook, first launched in 2016, and it is the most stylish and sophisticated new bookie in decades. The entire brand focuses around the fictitious and elusive gentleman figure, Mr Green. The idea is to convey a sense of class with a strong sense of moral principle, and to be fair to then this is very much the basis of the company. The original company, Mr Green & Co AB (of which Mr Green Limited is a subsidiary) herald from Sweden, although if you know much about this industry you might have guessed that as all the 'uniquely strange' operators come from there. Set up by three investors they created the brand to be simply the best and those high aims have paid off in our book. The whole ethos of the company is to provide an honest, fair, no frills but yet polished and modish experience. This culminated in a very unique product, the only comparison we can draw is BetVictor who also have a very professional feel and outlook. The company have won many awards for their casino, especially on mobile, and are one of the most highly rated responsible gambling brands around, also winning several accolades for their green gaming features that go beyond what is expected by law. Mr Green have one of the most well regarded online casinos on the planet, and is one of the selling points of this brand. The sportsbook isn't just an afterthought however, this is a sports betting site in it's own right not a casino-sportsbook. This is reflected in the over 35 sports available, far higher than most new bookies, and delivered on their own independent platform it has one of the most simple and navigable menus we've seen. They don't yet offer streaming but the live betting is very good and comprehensive and existing customer promotions are available at all times. The fact the company have been around a good while also means they have 24/7 customer support and a suite of banking options available. They a have nice and low £5 minimum deposit amount although one thing that let's them down is their £30 minimum limit and £1/1% fee for withdrawals. Spot on for anyone who like to bet on sports and play casino games. A brand that is only going to grow in the future. Red Zone Sports are a sister brand of a company we cover in depth here, Sport Nation. Both owned by Argyll Entertainment, licensed from Switzerland with London offices this is a UK focused company founded in 2016 and with an already growing reputation for loyalty rewards. Their most unique aspect is their US sports book. Red Zone Sports, as the name suggests, have big coverage of events from across the pond and quite frankly this the only place to bet if you like sports from the United States and you live in the UK. They boast the lowest margins of all betting sites (therefore best customer odds) and offer more markets and more depth than anyone else. For example, you can even bet on drag racing with them. Their news section is outstanding for US sports and better than most genuine news sites. Of course they also offer everything else in addition to American sports, it's just that is their main niche. The rewards points system is one of the very best available, it gives you points every time you bet on sports and casino (more for multiples), which you can exchange for literally hundreds of products from tickets to high end kit. This is in addition to free bet clubs, insurance and money back promos and regular boosts that demonstrate this is a site that rewards existing customers with proportional rewards to the amount you bet, rewarding both low stakes and high stakes punters fairly. Argyll are also known for transparency with high betting and payout limits that go far higher than a typical new bookie. The site is SB-Tech powered and they are known for producing sites for proper punters. It is great to look at but also fantastic to use, easy to get round and comes with features such as cash out (+ partial cash out), odds request services, virtuals, casino, live casino and a superb in play section. Depth of market is massive for a new site and they cover every thing else in addition to their US sports niche, with over 30 sports, including some less common ones. Overall one of the best new sites to come out in years and if you like betting on anything American a simply must have betting site. Only main drawbacks are a lack of deposit options (debit and credit cards only) and reduced contact options (open 12-10pm daily, live chat and email but no phone number). If you like the site but are not big on US markets then maybe try Sport Nation instead, who offer all of the features described here but with a more traditional UK focus. First and foremost if you are betting in the UK you should always always bet with licensed operators. This is the only way you can receive legal protection for your money and identity details. If you bet with an unlicensed agent abroad and they take your money or sell your identity then there is little legal recourse possible in the UK. Licensing also prevents money laundering and ensures under 18's and vulnerable age groups are protected as well as stipulating things like fair practice and open and honest terms. Every bookie will show their licence on the bottom of their home page and you can generally click on this to be taken to the relevant license on the Gambling Commission website. This is where you can also find where they are licensed from and who actually holds the license (don't assume it is the operator themselves). Stand Alone or a White Label? Full white label - Third party company provide the software, odds, etc., and also hold the gambling licence. Semi-Independent - Third party company provide the platform and operate some or all of the features but the license is held by directly by the betting company. Fully Independent - Operate and run their own sites, odds, services and features and hold their own license. Setting up as a white label is by far the cheapest way to launch a new site these days and therefore has become an attractive prospect for many investors. When we say cheap we are still taking £100,000's to cover set up and liabilities, but far less than the £1,000,000's required to set up your own stand alone bookie. One major problems with White Labels can be long term investment, you will often find a new white label looks great, is up to date and offers something unique when they launch but many can fall by the wayside as time goes on, with around half closing down in their first five years. New completely independent bookies are much rarer but are worth trying out when they do come along. It takes a hell of a long time, a huge amount of effort and a ton of cash to set up a stand alone betting site. You will often find that most independents in the UK market are not 'new' as such, rather they are new to the UK market and may have been around for a long time but only recently acquired a UK license. This is the case with many brand that started in Scandinavia, Bulgaria, Romania, etc. If you like to bet online using a bank card then you've got no worries as every online bookie accepts these. If however you like to use eWallets or other banking methods you may come unstuck with a new brand, if you want to bet with PayPal, for example, don't assume it will be available, especially with white labels. Also don't assume that you will get the same types of limits, many new sites can have higher deposit and withdrawal limits as well as lower payout limits. Something to be aware of if you bet at the extremes. Equally you are probably not going to find the depth of market and features such as streaming and cash out from a new betting site as you would find from a long term established brand. Then again this isn't always the case, especially with established brands newly licensed from abroad or those using fully integrated top end software packages such as SB-Tech. Customer service is probably the biggest issue with many new sites. We've all become used to 24/7 access to help in the modern age but many new companies may only offer support at certain time, say Monday to Friday 12-9pm, for example. In general if any of this concerns you it is really worth doing your research. This is the reason why we have provided a varied list of the best new sites, some will be better at some things than others. Reading above you might think what is the point in betting with a new site if the old bookies have so much more under the bonnet. Well bigger isn't always better and many long-term established brands have become stale, resting on their laurels at the top of the pile they have forgotten the most important aspect; the customer experience. After all betting is supposed to be enjoyable, not just a profit driver for a betting company. What you tend to find with newer brands is they have a far more personal feel, with more focus on the user experience, loyalty and unique features or markets that give you something others don't. With many people now rejecting big faceless corporations there is a huge niche here for punters that want to feel like a person rather than a number. Many new operators also tend to be more focuses. Where as the likes of William Hill will try to do everything from lottery betting to horse racing, some new companies decide to focus. Red Zone Sports, to look at one example, is a site that has all of the standard markets you expect but within that they have decided to focus on US Sports betting. Good US Sports markets are rare in Britain and so in a very short space of time, combining large markets and low margins with decent promos, RZS have become the go to bookie for betting on all things American. Most established UK brands have always been UK companies, many going back to the old high street betting shop days. The problem with this is they all tend to provide the same old stuff. This is fine if you like to bet on 'traditional' UK markets but if you like to try out wagering on other weird and wonderful sports from around the world you can find even the biggest bookies very limited. With many new sites coming in from abroad you can often find markets, features and promotions that you can't get with UK-focused operators. This means if you like to bet on things like Futsal, water polo, trotting, and the like, then you may be better off trying a European brand newer to the UK. Even if you like to bet on the traditional stuff you will often find that European bookies have greater depth of market when it comes to non-UK leagues and competitions. Anyone who has ever placed an official bet on a sporting event or something like the name of a Royal baby will have come into contact with a bookmaker. In days gone by you’d communicate with an actual person in order to place your bet and more often than not they would be an independent or small chain operator bookmaker, working out the odds and accepting your wager, then paying out on it if it was a winner. As soon as bookmaking moved into the mainstream and shops were legalised on the streets of the UK, the individuality of the profession began to slip away in favour of mass marketing for the biggest firms. The shift online has taken that even further, meaning that most people who place bets nowadays don’t even consider who the actual person is that they’re placing bets with - not least because most of the time it’s a computer algorithm rather than a person. What the move online has done, however, is open up the profession of bookmaking like never before. There’s now something of a blurring of the lines between it being a profession in the same manner as it used to be and it being a thing that anyone with enough startup capital can do. The feeling that once existed - that it was a virtually impenetrable career for those that understood the mathematical formula involved with coming up with odds - has now shifted and it’s become a far more accessible thing to do for a job. On this page we’ll explore exactly what it is that a bookie does, how they work and what you need to do in order to become one, should that be something that interests you. We’ll also have a look a the different types of bookmaker, plus the jobs that exist around the profession rather than just the sole job of a bookie alone. This won’t be definitive, but we’ll try to look at as much as we can in order to give those of you considering it as a potential career as much information as possible. In order to better understand how much the world of bookmaking has changed over the years, it’s first important to consider how things got started in the first place. As with most things that you try to explore historically, the answer to that question really boils down to how far back in history you’re willing to go. We know, for example, that gambling of some sort took place during the Paleolithic era. Yet that’s not really the sort of thing we’re interested in, so instead we need to first-forward to the 1790s and a man named Harry Ogden, who is widely considered to have been the first bookmaker in the United Kingdom. Mr. Ogden operated a pitch on Newmarket Heath, close enough to Newmarket Racecourse that he was able to see which horse crossed the finishing line as a winner, but far enough away to mean that he wouldn’t catch the attention of the staff on the course. The reason that Ogden is given the credit as being the first bookmaker as we now understand the word is down to the system that he created to allow people to bet on the horses taking part in a race. Previously, punters would just have straight bets against each other, saying that a horse would win or wouldn’t. Ogden looked at the entire field and came up with the notion of offering odds on each horse, meaning that people could be tempted into betting on horses that had less chance of winning because if they did win then the punter would earn more winnings. Though the exact history of bookmakers from the point of Ogden’s offering of odds forward isn’t completely clear, it’s likely that others followed his lead. We can infer this because the government introduced the Gaming Act in 1845. This prevented people from gambling in the UK anywhere except at a racetrack. The result was twofold: firstly more and more people began to attend racecourses, with the majority of money being made by the government-backed bookmakers who opened pitches on them. Secondly, illegal betting shops began to spring up all over the country, mostly in dark and dingy parts of cities. An exception to that rule was a bookies run by Bella Thomasson, who is believed to have paid off local police officers in order to ensure that her shop was allowed to continue to operate. ‘Bella’s’, as her shop was known, was run in a professional manner and was seen by many as a front-runner to the betting shops that would open years later. It’s likely that the proliferation of these illegal shops is what encouraged Harold Macmillan’s Conservative government to revise the idea of legalised betting shops in the 1960s, culminating in the Betting and Gaming Act being passed in 1960. The act legalised betting shops on the streets of Britain, though there were still plenty of restrictions in place. They weren’t allowed to appear to be attractive places to visit, with blackout out windows and a less than welcoming atmosphere a requirement. Even so, their popularity was confirmed when nearly ten thousand opened up within the first six months of it being legal to do so. (). It also managed to curtail the expansion of illegal bookies, thanks in part to the sheer amount of capital required to become a legal and official bookmaker. Like it or not, the face of Britain’s betting had changed forever and the alterations were only going to keep on coming. Things remained much the same for the following thirty years or so, with the only major change being the way that betting shops were seen. They began to become part of the mainstream, accepted by most parts of society. For more read our dedicated page on the history of gambling and bookmaking. Though online gambling is thought of as a relatively new phenomenon, the reality is that its existence dates back as far as the mid-1990s. The company Microgaming developed the world’s first software to allow people to place casino bets online in 1994, though in reality British bookies didn’t really catch on to the possibilities until the turn of the millennium. The move online opened up a whole new world of possibilities for bookmakers, not least of which was the possibility to shift their operations abroad and avoid the 9p in every £1 tax that the British government imposed on them. They weren’t allowed to do so whole hog, but when Victor Chandler, the firm that has since become BetVictor, moved to Antigua in order to allow his company to avoid paying tax on bets made by his Eastern clients, it was feared that other bookmakers would follow suit. The result was a complete change in the tax law in the UK, instigated by the then Chancellor of the Exchequer Gordon Brown. Punters no longer had to pay tax on any winnings made via gambling, with the bookies taking the hit with a 15% levy on their gross profits instead. Another part of the review into the tax laws that took place in 2001 was a fresh look at the way that gambling was legislated in the United Kingdom, the offshoot of which was the 2005 Gambling Act and the introduction of the Gambling Commission. Gambling Commission licences were now needed for any bookmaker who wanted to operate in Britain, regardless of whether or not they were online or had physical shops where people could place bets. There were still some loopholes, but these were tightened up with the introduction of the amendment to the Gambling Act which occurred in 2014. If you are interested the first official online bookmaker still going today is a brand known as Intertops, established in 1983 and online since 1996. You are probably wondering why you haven't heard of them? Well they don't have a UK license and so you can't bet with them on these shores, they are however quite big in Europe. Many bookmakers have been and gone since the days of Harry Ogden’s pitch close to Newmarket Racecourse. Some of them have been swallowed whole by the larger companies, some of them have just found it too difficult to compete in one of Britain’s most fast-paced and ever-changing markets. Yet one has outlasted pretty much all of them, having been founded in 1886 and still being in existence today. The company originally started life as a commissioning agent for horses that had been trained at Ladbroke Hall in Worcestershire, set up by two men named Schwind and Pennington. Pennington was actually a trainer of the horses and informed Schwind which ones to back. Life continued like that for the pair for some time until they were joined by Arthur Bendir in 1902. Bendir had the idea to not only back horses that had been trained at Ladbroke Hall but also bet against other horses, essentially meaning that the company acted as both bookmaker and bettor. They moved offices to The Strand in London, then Hanover Square and finally Mayfair in 1913. To begin with, they acted as bookmakers for high-class clients, usually comprised of members of the aristocracy and Royals. The new business model worked perfectly well until the outbreak of the Second World War, at which point their customer base began to slip away. In 1956 they sold the business to Mark and Cyril Stein for £100,000 and when off-course betting shops were legalised the Steins were amongst the first to pounce. The Steins were not the sort of people to rest on the laurels. They realised that the betting industry was ever-changing and that they would need to innovate as much as possible in order to keep growing. Ladbrokes was the first company to offer fixed odds betting on football, for example. The innovations worked, with the company floating for £1 million in 1966. The company continued to grow from there, merging with Coral in 2016 to become one of the largest betting companies anywhere in the world. Since then the company has again been acquired in 2018 by the massive gambling investment company GVC holdings (owner of brands such as partypoker). It is therefore argued by some that Ladbrokes are not really Ladbrokes anymore, although they are still an independent arm of the larger company operating under the same name and structures. 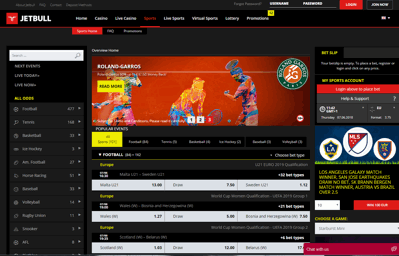 Ladbrokes has also continued to innovate, ensuring that they can keep up with the newcomers into the world of betting as the market has developed around them. As we begin to move into the discussion of how to become a bookmaker, it’s firstly important to ensure that we’re all talking about the same thing. The Collins Dictionary defines a bookmaker as follows: ‘A bookmaker is a person whose job is to take your money when you bet and to pay you money if you win’. That’s obviously somewhat simplistic, but it’s the very nature of what it means to be a bookie. The Encyclopaedia Britannica has a rather more broad explanation of what a bookmaker does, including pointing out that their job is ultimately to ensure that they have a balanced book that allows them to make a profit regardless of the outcome of an event that they’ve taken bets on. As well explore, though, the definition of a bookmaker has changed considerably since the explosion of companies online. In the old days bookies needed to be self-contained, with everything in house from odds traders to set odds to web designers to make the sites work. These days however there is such a thing as a 'white label’ bookmaker. This is essentially a person or persons who use software companies to deal with things like the odds and the ‘under-the-hood’ work on a site, merely coming up with the design of the site itself as well as features and offers for new customers and so on (sometimes not even that involved). The software company are the ones that often hold the licence, they take a share of the profits, allowing those behind the ‘white label’ to concentrate on the front-end and know that the back-end will take care of itself. This is part of the reason why becoming an online bookie is much easier than becoming one with physical shops. Yet it’s also part of the reason why the notion of what a bookie actually is is quite confusing. Can someone who simply set up a website using software provided by a different company really be called a ‘bookmaker’? If you’re thinking of becoming a bookmaker in the more traditional sense, the first question you’ll want to ask yourself is whether you want to do so on-course or off-course. The word ‘course’ can be used in place of the physical location where any activity is taking place, altering depending on the sport that you’re covering. There is no real difference between the actual activity of a bookie regardless of which of these options you plump for. You’ll still need to train and develop cashiers, handle the money that is taken off and given out to customers, deal with complaints, balance accounts and so on. There’ll also be a necessity to ensure that the odds allow you to balance your books in order to turn a profit at all stages. The biggest difference between the two types of bookmaking is the sort of licence that you’ll need to get. Thankfully, the Gambling Commission is an excellent resource and makes things nice and clear for those of you looking to branch out into the world of bookmaking. As well as an operating licence, you’ll also require a personal management licence, a personal functional licence and a premises licence, depending on what type of bookmarking operation you’re hoping to run. More often than not, bookmakers become bookmakers because it’s a family tradition, meaning that information is passed down from parents to children and it’s just ‘known’ how it’s done. There is a surprisingly scarce amount of information online about becoming a bookie and what is involved, which should tell you a lot about how difficult it is. Aside from the different types of licence that you’ll need to get depending on whether you choose to be an on-course of off-course bookmaker is the amount of overheads involved. That’s not to suggest that there are no overheads for pitches at a racecourse, with money needing to be paid for the right to have a stall there in the first place. A bookmaker named Joe Huddlestone paid £228,500 for a pitch at York Racecourse in 2015, for example. That was very much an excessive amount of money, paid because the pitch was in the best spot on the course, but it gives you an idea of the sort of thing you’d have to pay for. There’s also runners, who keep an eye on the odds being offered by competitive bookies, bagmen, who collect and distribute the money from punters, and so on. Yet if you open a high street shop then those overheads go up exponentially. As well as paying rent on the premises that you’re using, you’ll also need to pay for the likes of electricity, phone lines and internet access. Add to that the cost of getting broadcasts for greyhound and horse racing to be shown live on premises and you can see the costs start to mount up. That’s to say nothing of the staff that you’ll need to employ to run your shop, clean it and perhaps even offer security if you’re based in a less desirable part of town. You’ll also need a solid amount of money behind you in order to become a bookmaker in the first place. This is required by regulators to be put into a holding account in order to ensure that you have the cash to pay bettors, should they win. Obviously none of these are quite the same as being a bookmaker, but if you lack the necessary skills or knowledge then they’re a decent place to start your career. The obvious alternative to being a bookmaker with physical premises, whether that be a pitch on a racecourse or a shop on the high street, is to do it online. We’ve already mentioned the possibility of setting up a white label company, which uses software providers to take of the mathematical side of the operation. Yet that’s not the only option available, with some people choosing to be an independent bookmaker separate and distinct from the mainstream companies out there. It’s important to note, however, that this isn’t necessarily any easier. If you’re looking to generate markets yourself, come up with odds on your own and create your own interface then then that’s something that will be both time-consuming and costly. You’ll need to have an exceptional understanding of the sports that you’re allowing punters to bet on, to say nothing of the maths involved in ensuring that you’re offering fair odds that can still allow you to turn a profit. If you’re looking to start a company online then you’ll need to have a good knowledge of how websites work and how to attract customers. You’ll potentially also need a sizeable capital. If you open a betting shop then there’s an extent to which you’ll know about the number of customers that are likely to visit your location. This will be limited by the amount of footfall that the area in general gains and it’s unlikely to see sudden increases for random reasons. Online the same is not true. You will need to market your site in order to attract customers and if one of your marketing campaigns is more successful than you thought it would be then you might see a huge increase in the number of people coming to bet with your company. That means that your liabilities will increase exponentially and you’ll need to account for that. The other major question you’ll need to consider is how much of a one-stop shop you want your site to be. As online betting grows and grows, punters have become accustomed to being able to bet on an in-depth market in just one sport, let alone when it comes to a variety of sports. Are you going to focus on just one discipline, like horse racing, and try to cover that as best as you can? Or are you going to also cover football, mixed martial arts, tennis and cricket? If so, will you only offer odds on the major events or will you look more deeply at the market? If it’s the latter, do you feel confident in offering odds on a Slovakian second division team’s game, say? If you don’t then you might find that customers desert you just as quickly as they arrived, so how will you win them back? Odds Traders - Arguably the most important position in the betting industry is that of an Odds Trader. In essence, they are responsible for setting the odds for an event, as well as monitoring customer accounts and looking at the profitability of an operation. Interestingly, the job isn’t all about statistics and analysis. Though that is the case for sporting events, the Odds Traders who work on the likes of entertainment and music bets tend to use judgement and intuition just as much as mathematics. PR and Marketing - If Odds Trader is the most important position in the world of bookmaking then the job of PR and Marketing is a very close second. As mentioned before, you need to be able to encourage people to visit your shop or website if you’re hoping to make any money; after all, your books can be as balanced as you want but if no one is placing any bets with you then you’re unlikely to make any actual money. Those in PR and Marketing aren’t just responsible for coming up with the advertising campaigns that will attract customers, they also need to have their finger on the pulse of the market to find out what sort of offers and promotions will encourage clients to stick around. Why is one loyalty scheme better than another? It’s also important for them to keep on top of the compliance and advertising restrictions put in place by the Advertising Standards Authority. Design and Development - This job is more all-encompassing than you might at first imagine. It’s fairly self-explanatory in terms of online bookies, with the designer required to come up with a website that is visually appealing, easy to use and works smoothly on all devices. There’s also a strong likelihood that they’ll need to come up with a mobile app if your business really begins to take off, such is the popularity of mobile apps for online betting. Equally a developer’s job is about taking things further, moving the site to the next stage and so on. Things are slightly more complex in terms of physical shops, with architects probably more useful than designers. Even so, you’ll need to think about the layout of your premises and the sort of equipment that you’ll need there. Accountant - Any successful business requires a decent accountant, but that’s especially true of a bookmaker. As well as ensuring that the Odds Trader is doing their job in balancing the books, an accountant will look at expenditure on things such as advertising and promotions and ensure that you’re not stretching yourself too thin when it comes to the money that you have available. They’ll also be responsible for investigating things like the amount of money you need to have in reserve according to the Gambling Commission, ensuring that you’ll remain solvent even if you have to pay out large amounts of money on winning bets. Content Writer - If you’re hoping to have an online website with pages of information and offers then you’d do well to employ a content writer. It will be their responsibility to ensure that offers and deals are well written and that customers understand the terms and conditions in place. A good content writer will drive traffic to your site thanks to interesting and unique writing. That list is by no means conclusive, with countless other jobs being available if you want to look at the minutiae of the industry. The biggest companies can employ tens of thousands of people across a broad spectrum of jobs. Is Bookmaking A Competitive Industry? The question of competitiveness within the bookmaking industry is an interesting one. A quick search for ‘Best Betting Sites In The UK’ will lead you to countless bookmakers, from the well-established to the new on the market. It’s not easy to get a Gambling Commission licence by any stretch of the imagination, with the regulator keen to check that potential new businesses are not being run by disreputable people who may attempt to commit money laundering or the defrauding of customers. If you ensure that you only gamble with companies that you have confirmed have UK licences from the Gambling Commission then you go a huge way towards protecting yourself as much as possible. Yet the point remains that one of the main things that someone needs in order to be able to set up a bookmaking company is the initial investment capital. As a result, new and fresh bookmakers pop up on an almost monthly basis and ensure that the world of online bookmakers is one of the most fiercely competitive around. In terms of major companies alone, you’re looking at a list that includes Paddy Power, Betfair, Ladbrokes, Coral, William Hill, Betfred, BetVictor, 888 and Bet365. They are all veritable behemoths of an industry that has countless smaller companies rotating around it, picking up the castoffs. Firms such as Argyll Entertainment, which owns Sport Nation, and Betsson AB, which is responsible for for the likes of Betsafe, have made huge strides in impacting the industry in recent years. In other words, a bookmaker attempting to force their way into the industry nowadays might struggle to become a globally recognised force, but they’ll likely do well if they’re simply hoping to get a small, loyal following that uses them for the majority of their bets. A look at the government of Gibraltar’s website will tell you that they have issued Gambling Licences to more than thirty different betting companies up to June of 2018. There are a number of reasons why companies see Gibraltar as one of the best places to base themselves, not least of which is the fact that island is part of the UK and therefore classes as being covered by the Gambling Commission for one of their remote licences. Perhaps more important, though is the fact that companies can write of certain expenses as tax deductible that they would not be able to do if they were based on the UK mainland. The biggest companies spend tens of millions pounds worth of money on marketing, which they avoid paying tax on if they’re based in Gibraltar. That’s a significant saving, when you think about it. Gibraltar isn’t the only place where gambling companies are basing themselves, though. Malta is also becoming a more and more popular destination for companies looking to save themselves some money via tax breaks. The likes of Betsson, Kambi and Kindred all have offices in Malta and more companies are expected to join them. Similarly the Isle of Man and Alderney are seen as havens for bookmakers wondering where to base themselves. That’s not to say that no bookies are based on the UK. Both Bet365 in Stoke-On-Trent and William Hill in London are examples of respected companies that have remained on the British mainland at the time of writing. Given that similar things can be said about Ladbrokes Coral and Paddy Power Betfair, it’s suggestive of the idea that it’s the smaller companies that move themselves abroad in order to make whatever tax savings that they can. Something to think about when you’re wondering where to have the headquarters of the new bookmaker that you might be considering setting up after reading this piece about how you’d go about it.